This program teaches young children of elementary age about brain health. 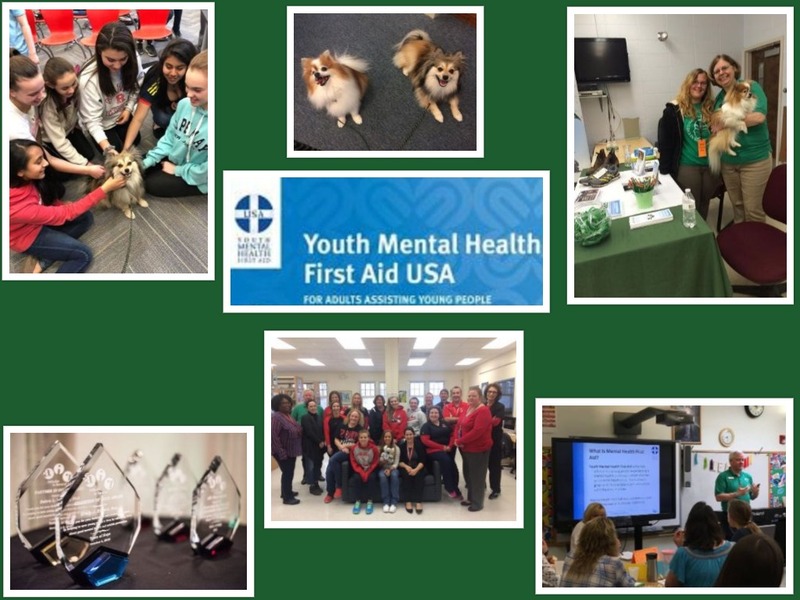 Fifty percent of all mental health disorders present by age 14, and the suicide rate of those 12 and under has doubled in the past 10 years, so it is critical that we start talking to students early about good mental health before the onset of symptoms to help save young lives. The program is a relaxed, interactive discussion with elementary level students about brain health. It is done in a smaller classroom environment. We discuss different coping mechanisms to help students be resilient and have healthy brains. We discuss a "feelings crisis", when students feel overwhelmed by negative thoughts and feelings. 1. Each student receives their very own "toolkit" containing brightly colored informational cards that explain 12 coping mechanisms that help build resiliency and a healthy brain. This toolkit[SM1] can be used in the classroom and the students can take it home and discuss it with their parents. One coping mechanism is "Hugging Your Pet" so we bring in a minimum of one certified AIR therapy dog. We discuss the benefits of being creative. Students receive a coloring sheet with pencils to take home with them. Each student will receive an In Crisis wristband. Teachers receive Safe Trusted Adult Safe Talk Stickers. This program is designed to be done in smaller groups and we can do multiple presentations per day. 2. The program can also be done using a presenter toolkit only. We have the same discussions with the students. This version of the program is more cost-effective and there is no limit in the number of students to whom we can present. We recommend that this version also be done in smaller groups and we can do multiple presentations in a day. We bring in a therapy dog for this as well and students will receive the Dogs Are Good for Our Mental Health Coloring Sheet. We will share an In Crisis Silicone wristband/card with each student. 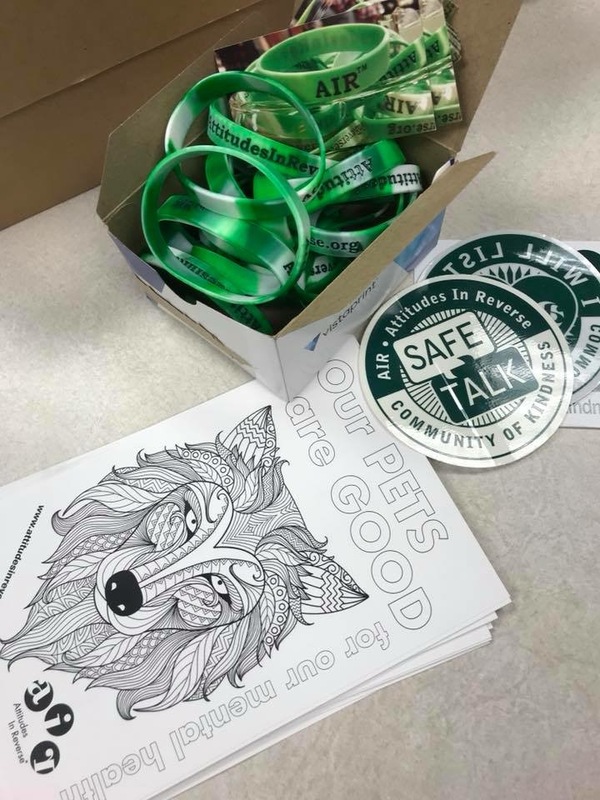 Teachers receive Safe Trusted Adult Safe Talk Stickers. 3. For older students, we use a PowerPoint presentation, in addition to the above materials. This presentation provides facts about mental health disorders, including statistics, signs and symptoms.